This is the full and detailed views of the 1998 Danish paperback edition of Finding Moon, published by KLIM in Århus, Denmark. The text was translated into Danish by Ib Poulsen. 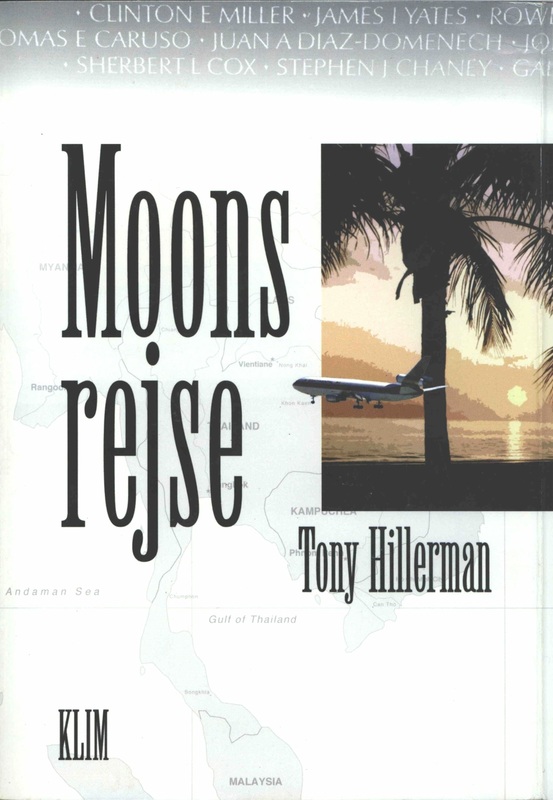 Design credit: The cover was designed by Henrik Koitzsch and features a picture of an airplane flying in front of a tree with an ocean sunset scene as the background. Behind the picture, title, author's name and publisher is a map of Southeast Asia.